The new editions of the Roco SBB EWII have hit the stores this week. So far, the models of the EWII A (74560) and EWII AB (74561) have been released. The pair of EWII B (74562/74563) and EWII D (Baggage) should be released during week 15, which according to my calculations is this week. The new models have more details on the gold coloured door inserts, including the rubber seal in the middle and the silver coloured handle. The handrails seem to be the same as on the most recent versions of the 44495/44496 and the 64630/64631 models. The roofs are painted silver and have the ventilators installed at the factory. 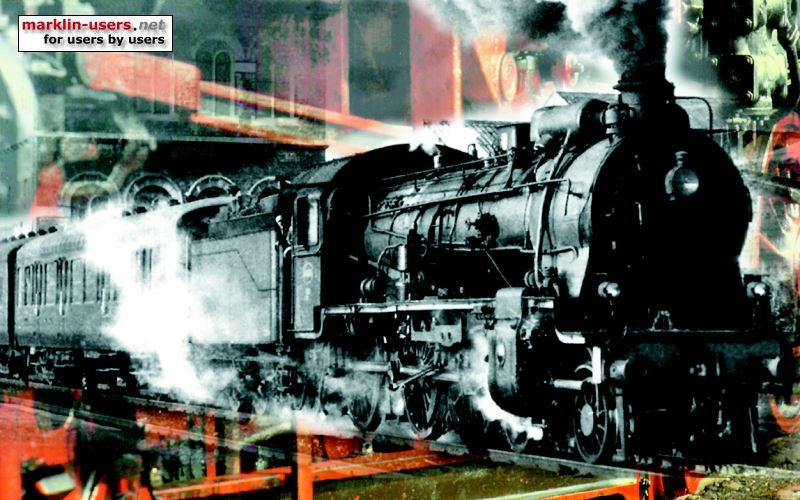 Unlike the original 4328S/4239S, which had the ventilator as a user installed part. I can't comment on the footboards based on the photos provided by Roco or on the web. The footboards of the gangway connectors appear to be once again functional. On many Roco models over the past few years, the two part gangway was replaced by a single part that did not fold down. Hopefully the models will include both sets of washroom fittings. On some of the earlier models (64630/31/32/33), the interior had one washroom removed, which was modified for the Papagei livery to make room for a bike rack. That design did not match the earlier green livery, which these new models once again represent. These models seem well done. The coach ends are prototypical and the rendering is much nicer (AFAICT) than the earlier Lima/Hag and more recent Liliput models. Based on these photos, I have increased my order from one set of coaches to two. One set will be used with the second set to make up a 5 coach consist comprised of EWI A, EWI WR and three EWII B. The second pair of EWI B will be used with either my BDe 4/4 (Hag) or the coming RBe 4/4 (LS Models) along with a matching pilot coach. 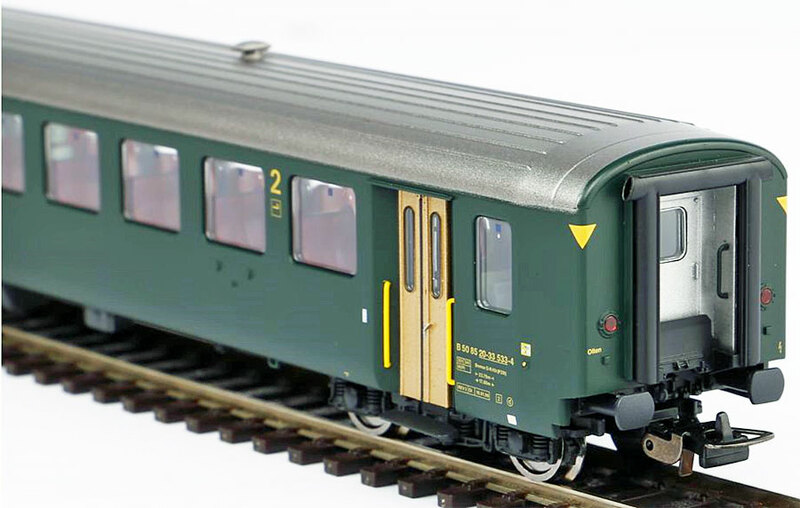 I also ordered a second set of coaches in the NPZ livery. Those coaches will run either with my Re 4/4II/RailTop BDt or with my Piko RBe 540 S-Bahn Set. The older Lima coaches will probably be relegated to other uses and the Liliput models will likely be retired. The LS Models WR (Restaurant) and pilot coach (ABt/BDt/Bt/Dt/DZt) models are scheduled for future production. I remember those cars when travelling with the family back in the 70's and 80's. Still running around in Switzerland today. I wonder if they Roco/Piko will include the small blade signs with the city names(destinations) for near the doors. I see the 'bolts' for fastening them on the panels near the doors, but no signs. If there is a decal or something, let me know. The original Roco models came with a sheet of decals. I don't recall any of the Hag, Lima or Liliput models coming with any decals. As far as the new Piko ones, I will check my RBe 540/BDt set to see if there were any decals included. I do not recall seeing any the first time I took them out of their box. I would guess that anybody who wanted destination signs, the old Roco ones could probably be used, as well as the decals from Maerklin's light steel coach models. I was thinking about the Piko EWI coaches. From what I could remember, the handrails on the EWI coaches with <+> SBB CFF FFS markings were mounted on the inside of the doors. I don't recall there being handrails on the outside of the coach body. The coaches, at least some of them, did have external handrails on delivery (1959-1973). Photos of coaches with the old SBB + CFF markings have clearly visible handrails whereas most of the photos with the new logo do not have this feature.